Forsythia is one of the earliest flowering shrubs in the Hudson Valley. This large Growing shrub is perfect for hedge rows along your property line. 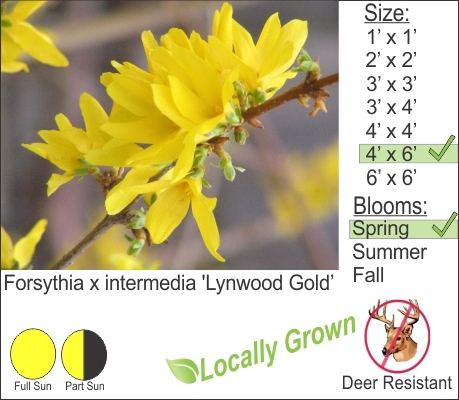 Forsythia is also deer resistant and a good shrub for creating privacy in your backyard.